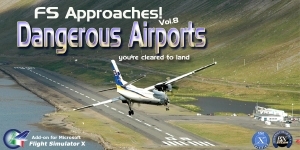 This is the original high resolution photo (15 Megapixel) used as image for the cover of FS Approaches Vol 6 Italian Airports, an add-on for Microsoft Flight Simulator X released by Perfect Flight in August 2015. The photo depicts the ancient town of Siena, located in the heart of Tuscany, in Italy. The photo was taken by Marco Martini, Publisher and CEO of Perfect Flight. The author intends to offer this original photo to all users of the website. The picture is suitable for printing in large format, of course. So, feel free to download this big picture and enjoy FS Approaches Vol 6 Italian Airports and all Perfect Flight’s products. This entry was posted on August 2, 2015 at 10:29, and is filed under Pictures. Follow any responses to this post through RSS 2.0.You can leave a response or trackback from your own site.